The Canal & River Trust is announcing a raft of new projects to transform the waterspace in Paddington Basin into an exciting hub for boaters, community, workers and visitors. Hire boats, a water taxi, an information boat and floating café, the Floating Pocket Park and additional trade and visitor moorings to maintain capacity for boaters will bring the water to life and people to the water. Jon Guest, London waterway manager at Canal & River Trust, said: “The new additions to Paddington Basin are tremendously exciting and offer people a whole host of new ways to explore the water – whether it’s having a go on a boat, taking some time out on the floating park or finding out more about the area at an information boat. 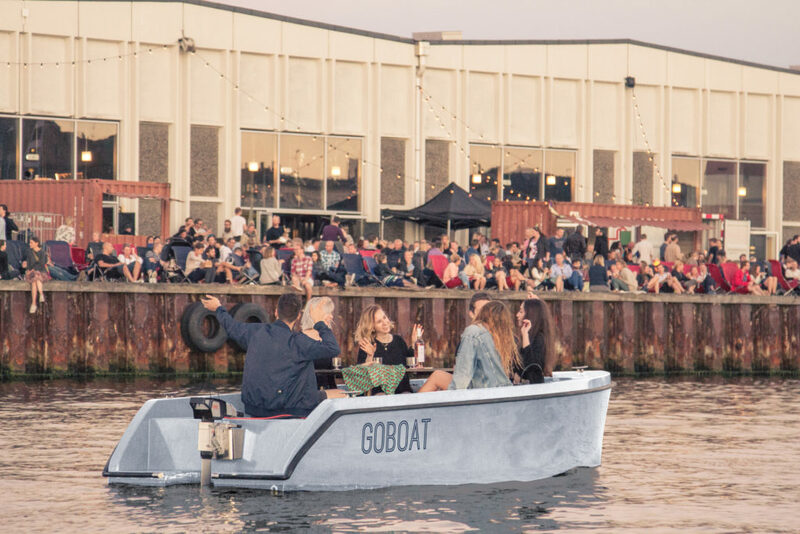 GoBoat, a Copenhagen-based boat hire company with a difference, will be introducing their first boats to the UK in Paddington Basin, with investment from the Paddington Partnership. The boats are powered by electric engines and built from sustainable materials, seat up to eight people and have a maximum speed of 4mph. The boats are available for anyone to hire to explore Paddington, Camden and Little Venice by water. With comprehensive instructions given to all hirers, it provides a fantastic opportunity for a whole new audience to enjoy the water safely. GoBoat will operate from moorings on the pontoons near the Rolling Bridge, with two new visitor moorings being created on the opposite side of the basin. GoBoats will be available to hire from the spring. GoBoat will also be running a free Water Taxi two days a week to take passengers from under Bishop’s Road Bridge by Paddington Station to Little Venice and to Merchant Square. If the service proves popular then the Water Taxi will become a permanent feature. This is another chance to encourage residents, workers and visitors alike to get afloat. A temporary Floating Pocket Park has been designed to breathe new life into the water space at the far end of Paddington Basin and connect local communities. The space, which has been unused and originally reserved for business barges, will host 730 square metres of open lawn areas, dense planting and communal seating, as well as a spot for trade boats. The floating park is being created by European Land and Property Limited who lease the waterspace from the Trust. Work on the park has commenced and will be open in time for the Chelsea Fringe. Look out for events on the Pocket Park throughout the summer hosted by Merchant Square. Two new business boats will be arriving in the basin in May and will be a great stop-off for people leaving Paddington Station’s Hammersmith & City Line exit. The first boat will provide information about the history of Paddington Basin and its regeneration, as well as running a small gift shop and coffee outlet. 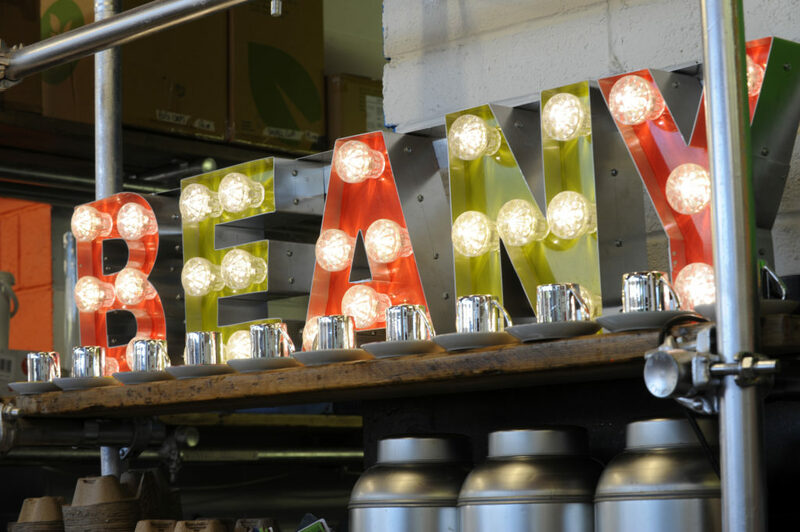 The second boat will be a floating café run by the small Aussie-style coffee and brunch independent, Beany Green, serving coffee, brunch, salads, cocktails and more. British Land was awarded the tender for the two business moorings in November 2014 and the company has begun carrying out the necessary work to installelectricity bollards and water points. Boaters will be able to continue mooring at the spots until the British Land boats arrive on site. Click here to download the full release from the Canal & River Trust.